Thought I'd provide a few pictures and general factoids about the Windsor factory intake manifolds as the topic comes up often enough. For instance, all these factory intakes have longer runners which improves the lower ~ mid range torque. On the other hand, aftermarket intakes generally feature shorter runners which can assist with developing power up higher in the rpm range. ports are staggered - lower intake is same for Explorer, GT40 & Cobra. The EL2 XR8 seemed to get the "early Explorer" lower intake that still had the IAT sensor in the standard location. Whereas the Cobra lower carried the standard IAT sensor location on to the present day. Strange that Ford would have two variants of the same lower. Usually they just use the same lower and don't drill & tap eg. 1994-95 HO Mustang uses an HO lower with undrilled IAT sensor mounting boss. And the AU3 XR8 had a match ported Explorer, and flowed a little more. Gasket matching was done on the lower (both ends of the runners) and the upper (runner end), with the upper also match ported to accept a 70mm TB. yea very nice vic. simple with pics will definatly help alot of people that are unsure of what they are looking at / for. Cheers... was going on memory. This is very helpfull, thanks Vic. I think the sensor is usually tapped in at runner #5 but you can easily insert it into the intake piping between the MAF and TB. Just remember that this IAT sensor relocation will move the inlet air temperature reading below the adaptive learning window on all but the hotest of days (38°C and above), unless a chip is fitted with a reduced "minimum Intake Air Temp for adaptive learning". The stock setting for the adaptive learning window on all E-series V8's is 100 - 200°F = 38 - 93°C, which is set at this level due to the intake air heating as it passes through the manifold on the way to the temperature sensing point at the end of #5 intake runner. The best solution is to use the cobra (or EL2, GT40, early explorer) lower intake which already has the IAT boss in #5, next best is the chip, and finally weld a boss onto the original location. Running without adaptive learning takes away a lot of the benefit of electronic fuel injection, best to keep it in my opinion. Thanks guys. Will keep this in mind. Wow, that's a brilliant write up, the sort of tech info that this site needs more of! Nice work dude. Just needs to be made into a full tech doc now. Nice thread dude, will come handy for alot of people. thanks heaps for this, i've been trying to explain this to a few people. 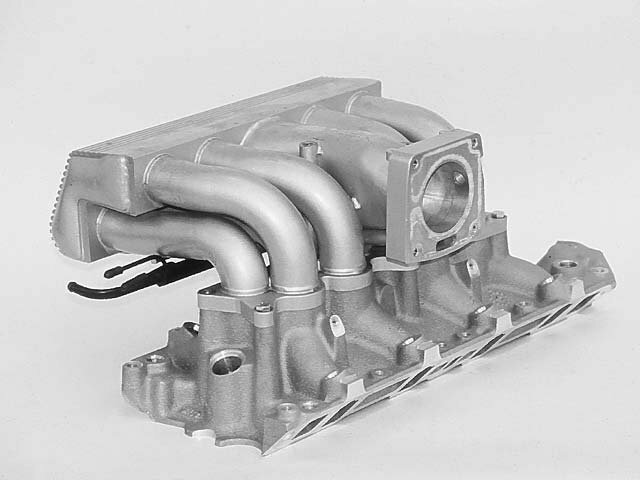 the tubular manifold, does that run the same lower as the other explorer manifolds? Yes, as mentioned in the first post, the lower intakes are the same except for the HO intake. yep saw that after i posted. anyone know what intake the ts/te50s used? i haven't had a good look at one before. 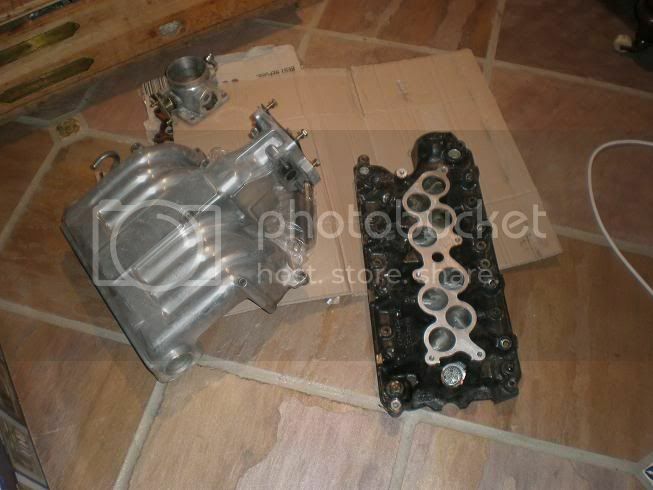 cheers dude, s**t thats a nice intake.